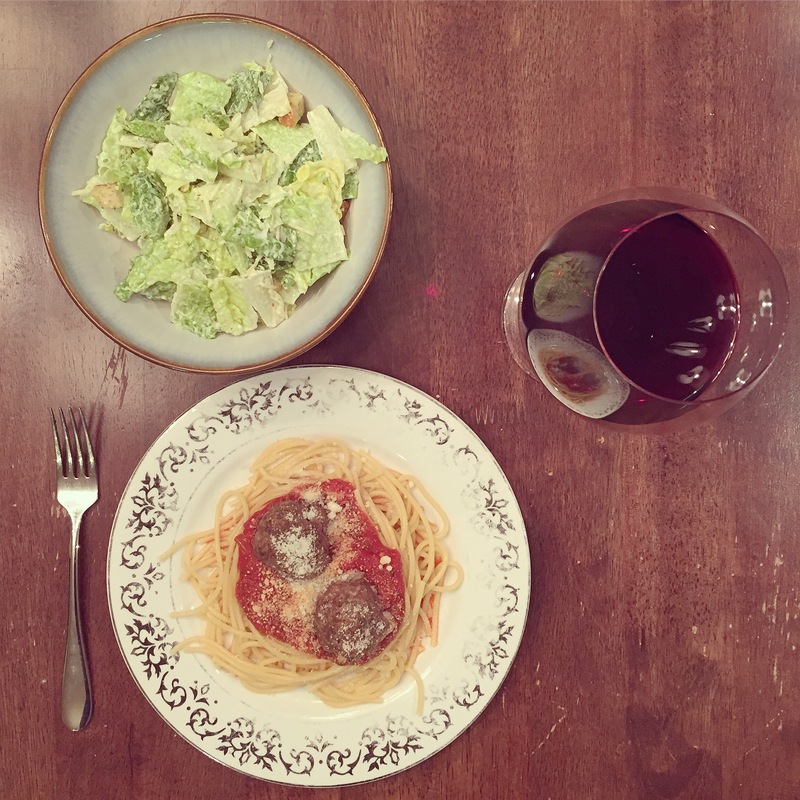 So, I can’t believe I’m about to say this, but… I’ve never made meatballs before! I mean, what kind of housewife am I?! These are super easy too, and will probably be made all the time now. I decided to blog about this because, well, they are baked so it just made sense. Plus, I paired this meal with a great wine! 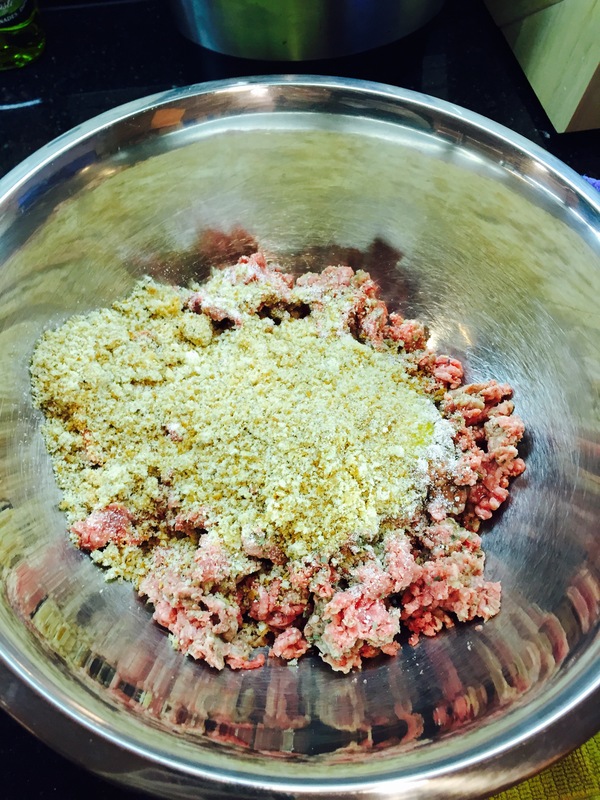 So, get those wine glasses out and let’s start making a meat a balls! Feel free to add any other spices you want. This is a simple, basic recipe that you can custom every time, depending on the flavor you want. I added about 2 teaspoons of basil. 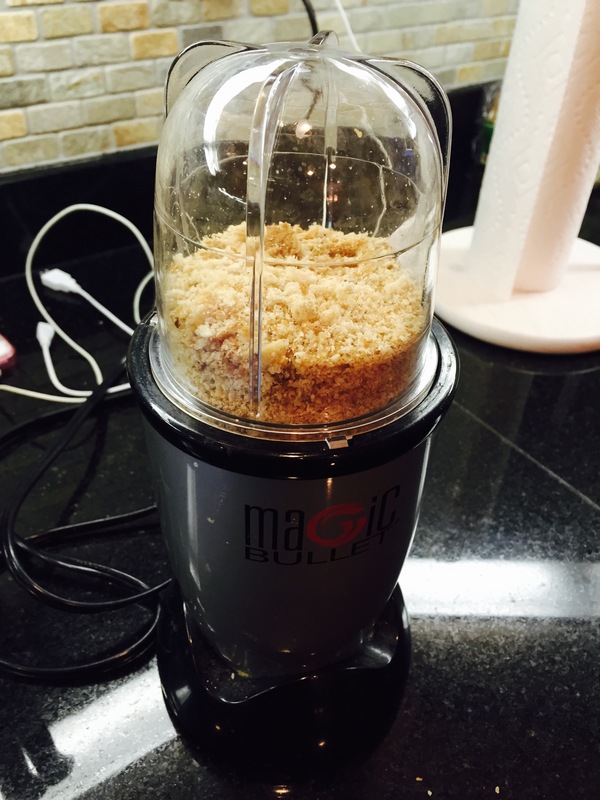 Also, I made my own bread crumbs, using a slice of bread and made crumbs using the Magic Bullet. So easy! Preheat oven to 350 degrees fahrenheit. Coat the bottom of the baking dish with olive oil. Set aside. In a large bowl, place all ingredients. Mix with your hands until everything is combined. Make balls. Doesn’t matter the size, whatever you prefer. 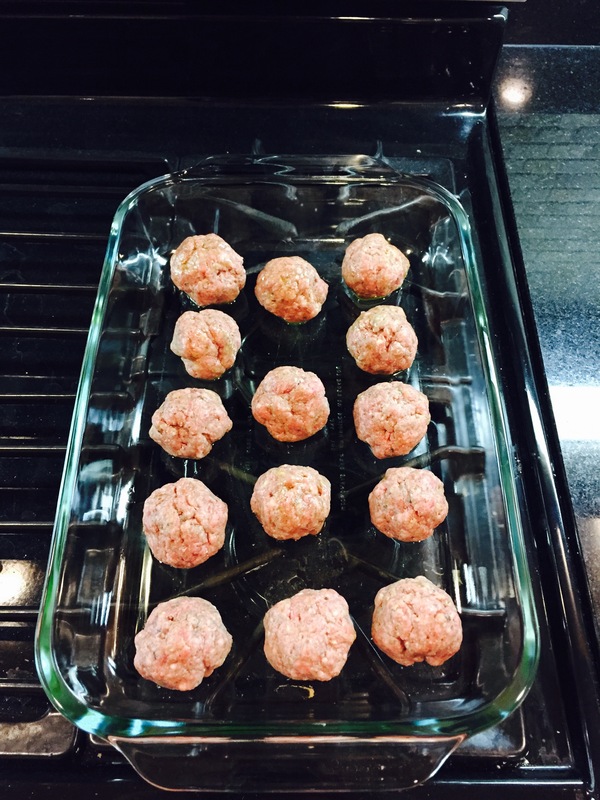 Place meatballs in baking dish and roll them in the olive oil. 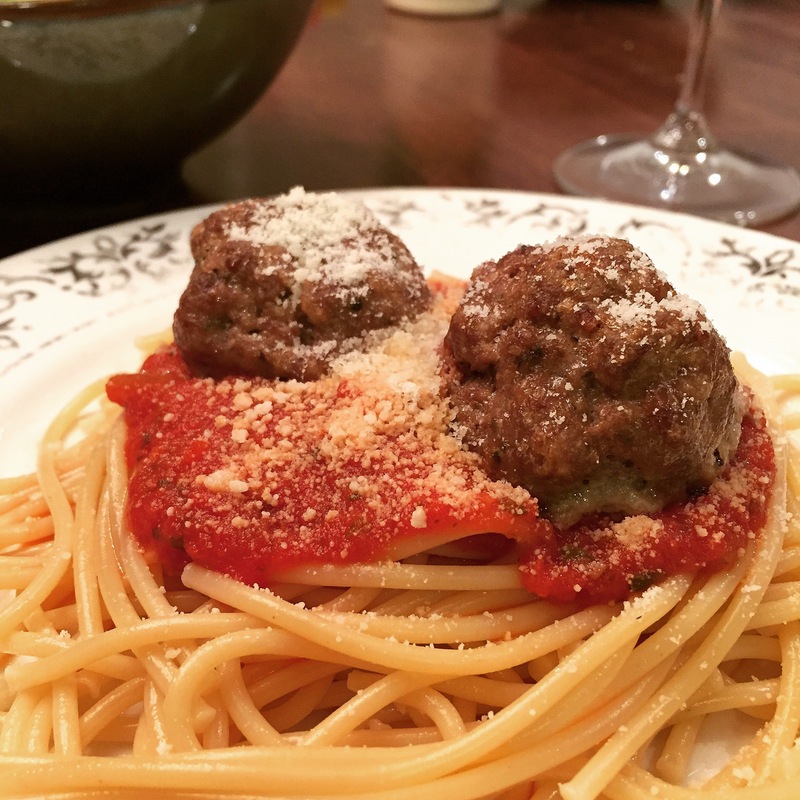 Serve over your favorite pasta and with wine 😉 Enjoy!